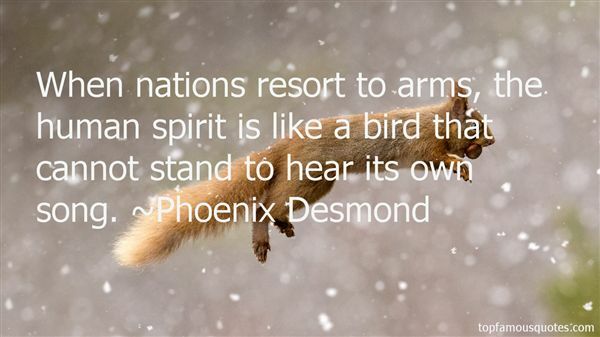 Reading and share top 2 Phoenix Desmond famous quotes and sayings. 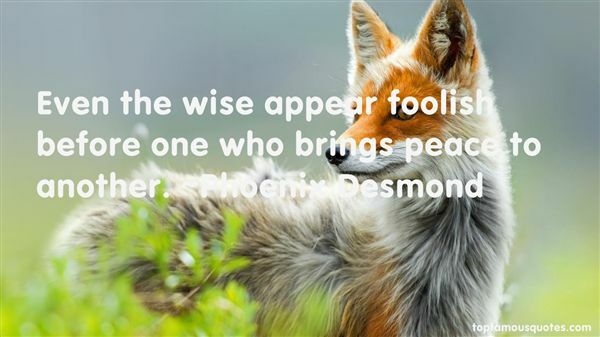 Browse top 2 most favorite famous quotes and sayings by Phoenix Desmond. People often ask: If there's a God, how can He allow so much suffering in the world? Realize all world suffering you perceive is a mirror to your own psychological self-abuse, gender imbalance, prejudice, poverty, and hunger. You couldn't even perceive each suffering aspect of external reality if it didn't already exist within you. Touch and transmute your own psychological suffering, and perceive the world in kind."